No fighter is more overrated than a big puncher while they’re undefeated, even if they go on to become an all-time great. And if the puncher has legitimate skill to match their power like, say, Gennady Golovkin or Mike Tyson, forget about it—in the eyes of some, that mistakenly translates into a fighter being considered unbeatable. When it comes to authentic punching power, the most important thing is this: can the fighter in question deliver it every time out? And can they do it against the best? Former 1970s heavyweight contender Earnie Shavers and former junior-middleweight champ Julian Jackson are considered two of the hardest punchers in boxing history—but neither were great fighters. And that’s because they couldn’t deliver their power at will against the best fighters they faced. They often went entire fights without landing their Sunday punch and on those nights they usually came up short. No two fighters ever looked more frightening, however, when they kayoed second-tier opposition. Golovkin and Tyson, on the other hand, always tested the chin of their opponents—regardless of who was in front of them—at some point in all of their fights. Golovkin often went in behind his jab to create the opening, while Tyson’s upper-body movement helped him get in close and make the opponent pay off of a miss. That said, every fighter who defeated them, or went the distance with them, had to stand up to and survive their power at some point during the bout. And that’s why both GGG and Tyson can be categorized as elite fighters. Thomas Hearns was another fighter who had dynamite in both hands and delivered his power against every opponent he confronted—but Hearns was a class above GGG and Tyson. This weekend WBC Interim middleweight titlist Jermall Charlo, 27-0 (21), will meet Matt Korobov, 28-1 (14), a late replacement for Willie Monroe, Jr. (who tested positive for PEDs), at the Barclays Center in Brooklyn. Monroe has faced two legitimate world-class titleholders, in Gennady Golovkin and Billy Joe Saunders, and Korobov has only faced one, Jose Uzcategui, who he beat by decision when Jose was 22-0 in June 2014. Today, Uzcategui is one of the top super middleweights in the world. So, although Monroe has been in the ring with better fighters than Korobov, it’s Korobov who’s scored the bigger win by beating Uzcategui. The southpaw Korobov, a 2008 Russian Olympian, suffered his only setback in a world title fight against Andy Lee for a vacant middleweight belt in December 2014. He was winning the fight until Lee caught him with a right hook in the sixth round and knocked him out. As a boxer, Korobov has solid fundamentals and power but there’s nothing about him that really stands out—and those are the type of fighters Charlo has taken apart throughout his career. Also, Korobov has been known to tire and fights in such a complacent way it’s hard not to envision Charlo doing whatever he wants whenever he wants. After Lee nailed him with that right hook Korobov never recovered and Lee scored his signature win. But this fight isn’t about Korobov, it’s about Charlo, who comes with a lot of hype and fanfare. There are still questions about Charlo despite his pristine record. At six feet, Jermall is on the tall side for a middleweight and his 73-inch reach is about average and maybe even shorter than the mean. He has an ideal build for a middleweight and is very athletic and appears—at least measured against the opposition he’s faced—to be physically strong. Not to mention that he has fast hands and lets them go freely. His fundamentals and basics are above average and he’s a solid boxer that works off of his jab well. But what stands out mostly about Jermall is his concussive power. His recent knockout of Hugo Centeno, Jr. in the second round was an authentic ten-count stoppage. Set up by a short left hook and a cuffing right hand that probably wasn’t even needed. Yes, Centeno was stopped in his only prior defeat, but he wasn’t down for the count. Charlo’s most impressive showing came two fights earlier when he stopped undefeated Julian Williams in the fifth round. The beginning of the end came via a single counter right uppercut up the middle that dropped Williams as if he’d been shot by a sniper in the rafters. Williams barely beat the count but was soon sent to the canvas again by another Charlo onslaught and the fight was halted immediately. The issue with Charlo is that he talks a great game and looks great against second-tier opposition but he hasn’t yet fought one of the top middleweights in the division. And until that happens we’ll never have a true sense of who he is as a fighter. Think about this: Charlo has been a pro since September of 2008 and he still hasn’t been in with one of the elites of the division—unlike Golovkin, Canelo, and Daniel Jacobs, who all have. Charlo, like Canelo, is twenty-eight years old. And though it’s been common for some to trash Canelo’s opposition, that stance is starting to lose traction based on his back-to-back fights against Golovkin. And Canelo’s resume looks like “Black Murderers’ Row” next to Charlo’s. And if you think the perception of Charlo won’t change once he fights Golovkin, Canelo, or Jacobs— if in fact he does—think about how fighting the elites altered GGG’s persona. Golovkin was riding a 23-bout knockout streak heading into his showdown with Daniel Jacobs in March 2017. Before the bout, the common view among boxing insiders was that Jacobs represented the most formidable fighter Gennady had ever faced—and they were correct. And what happened in that bout? GGG had to fight the entire twelve rounds, the judges scored it 6-6, 7-5 and 7-5, and some believed Golovkin didn’t deserve the decision. The takeaway? Golovkin wasn’t quite the killer he looked to be when fighting the best of the best. In his next bout he met Canelo Alvarez, a fighter rated even higher than Jacobs. And despite the fact that he landed his Sunday punch several times throughout the bout, it went the distance and ended in a disputed draw (with many sophisticated observers seeing it as a win for Golovkin). And after the fight GGG’s power started to be questioned—but those questions suddenly came to a halt when he devastated Vanes Martirosyan in two rounds in his next fight. The only issue was that Martirosyan had been stopped in all three of his previous defeats and was considered a B-level world-class challenger at best. With the perception being that GGG’s power had returned, he fought a rematch with Canelo four months later. Once again the fight went the distance and Golovkin lost a close majority decision, suffering the first setback of his stellar career. And like the first time they met, Golovkin landed his Sunday punch but was never able to shake or drop Canelo. Granted, Canelo has an iron chin, but the point here is that the big punchers aren’t truly tested until they face the best. Yes, GGG adjusted tactically and showed, once he was finally tested, that he’s more than just a big puncher. But he’s certainly not the life-taker he looked like versus Martirosyan (and the others on that level), although he did prove that his power and skills are, without question, world-class. 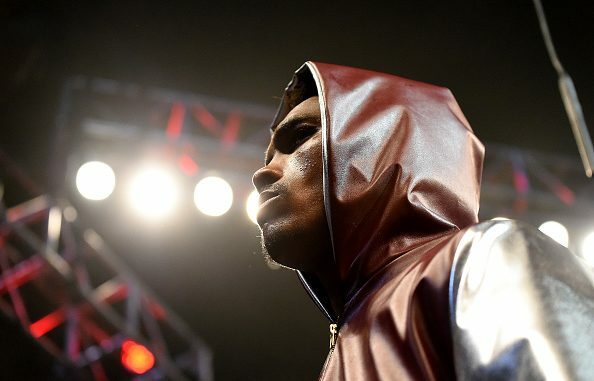 Those questions have never been asked of Jermall Charlo. Eventually he’ll fight the other top middleweights and they won’t fold as easy as Williams and Centeno and his chin will be tested sooner or later. 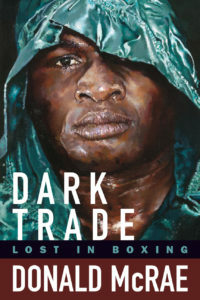 On the periphery, Jermall’s skill and power look legitimate, but we won’t know his true identity as a fighter until he proves he can deliver his power against the best in his division—and if the knockout doesn’t occur, can he fall back on his ability to box the way Canelo and GGG have? The answer is to be determined and until it comes he’ll look unbeatable like so many other big punchers have before. And that answer most certainly won’t come from his bout against Matt Korobov this weekend. Although Charlo has looked disinterested, Korobov is made for him. He doesn’t have much offense and lacks a sense of urgency under fire. Korobov considers Charlo “a good opponent.” He just doesn’t know yet whether it’s accurate to include Charlo in the group of elite middleweights that features Canelo Alvarez, Gennady Golovkin, Daniel Jacobs, and Demetrius Andrade. No argument here.